MullenLowe Group is pleased to announce the winners of the eighth consecutive MullenLowe NOVA Awards! 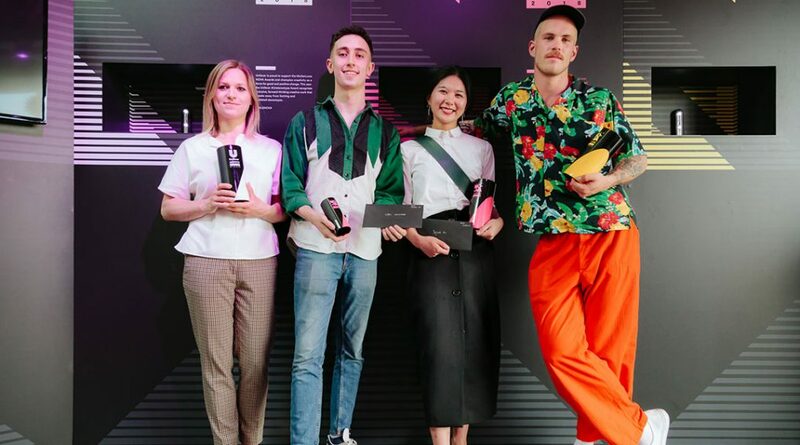 Many congratulations to the winners who have been selected from 1,300 students graduating from Central Saint Martins courses across art, design, fashion and performance. One winner, two runners up and the recipient of the Unilever #Unstereotype Award have been selected by the MullenLowe NOVA Awards expert judges, while the YourNOVA ‘Peoples’ Choice’ Award has been decided through a public online vote. Yajing’s project, Heartbeat, was inspired by the human heartbeat itself, which is proof that we are alive. The judges loved the clever execution of this simple idea, so Yajing is taking home the top prize at the 2018 MullenLowe NOVA Awards. Paolina’s project was chosen for her clever transformation of old rugs, crochet blankets, sports equipment and shoes into corsets, gowns and armour, to create a collection that showcases the juxtaposition of domestic lifestyle and femininity alongside the imagery of sports culture. Cybi’s series of paintings showcase bold colours, textures and shapes to prompt the art world to reconsider what find art is, and urge them to adapt beyond the gallery space. The winner of this year’s award was chosen as her work challenges the stereotypes that have become dominant in today’s society, and the expectations society has put on women. The winning project resonated with voters as it offers an insight into a subculture that is unknown to most and challenges the audience to question inherited norms of culture and expression and the role of creative practitioners. The execution is absorbing, provocative, haunting and truly memorable.